Fast, funny, and irreverent! NEWSical makes it possible to get high on hilarity! Why See Newsical The Musical? Not to be confused with the Disney musical NEWSIES, this Drama Desk-nominated revue NEWSical is back lampooning current events, newsmakers, celebreties, and politicians - in short, everyone is fair game. 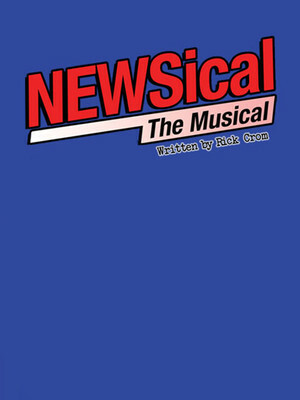 With songs and material continually updated to take advantage of the top news stories, composer-lyricist Drama Desk Nominee Rick Crom's topical musical comedy is an ever-evolving mockery of all the news that is fit to spoof - and then some. Even if you have seen the show before, the ever-updating nature of the show means that no two performances are ever identical, so that means a fresh script and songs pretty much all the time! Covering every outrageous headline from Miley Cyrus' twerking and tongue-wagging antics, Honey Boo Boo's latest bratty rant, to Obamacare and the federal shut-down - nothing is off-limits! NEWSical is now in its fourth year off-Broadway, over an hour of uproarious songs and sketches that manages to parody all of today's biggest headlines - think, politics, pop culture, celebrities and even social media trends, there is something for everyone. Seen Newsical The Musical? Loved it? Hated it? Sound good to you? Share this page on social media and let your friends know about Newsical The Musical at Kirk Theatre. Please note: The term Kirk Theatre and/or Newsical The Musical as well as all associated graphics, logos, and/or other trademarks, tradenames or copyrights are the property of the Kirk Theatre and/or Newsical The Musical and are used herein for factual descriptive purposes only. We are in no way associated with or authorized by the Kirk Theatre and/or Newsical The Musical and neither that entity nor any of its affiliates have licensed or endorsed us to sell tickets, goods and or services in conjunction with their events.